There are many reviews about the Omega Speedmaster Pro (diameter 42mm) and the Speedmaster “reduced” (39mm) available. (1) The Speedmaster Pro is deployed with manual hand-winding thicker mechanical movement while the Speedmaster “reduced” comes with a more sophisticated automatic mechanical thinner movement. 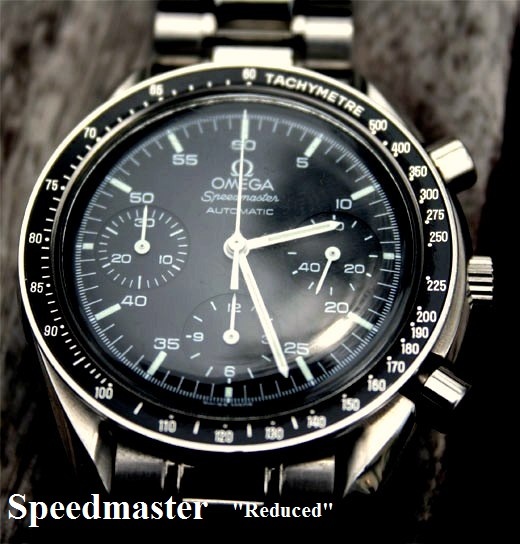 The speedmaster “reduced” is more accurate with 28,800 beats per hour (4Hz). 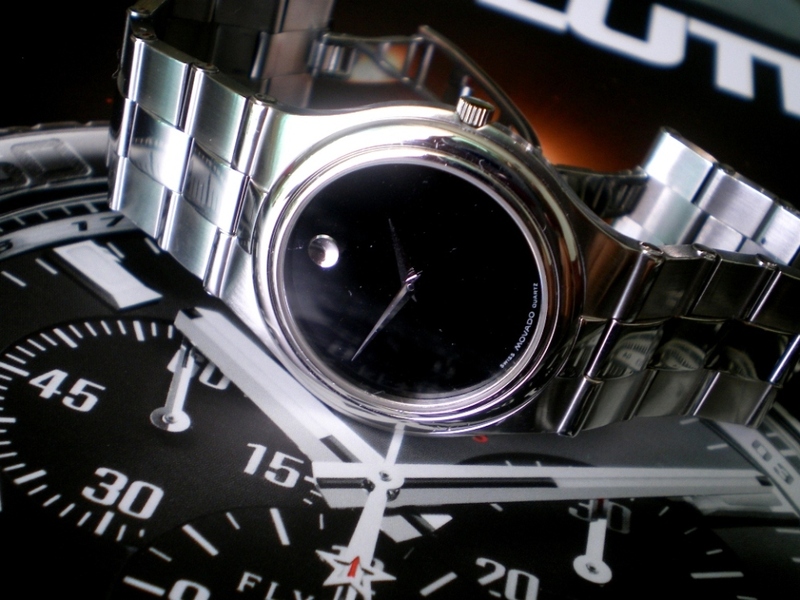 (2) The Speedmaster Pro remains an icon “Moon Watch” classic. It’s therefore a desired collectible. 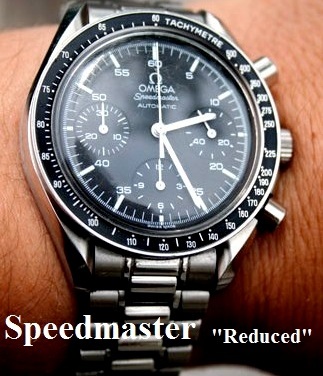 The Speedmaster “Reduced” is a modernized & improved automatic chrono in comparison. 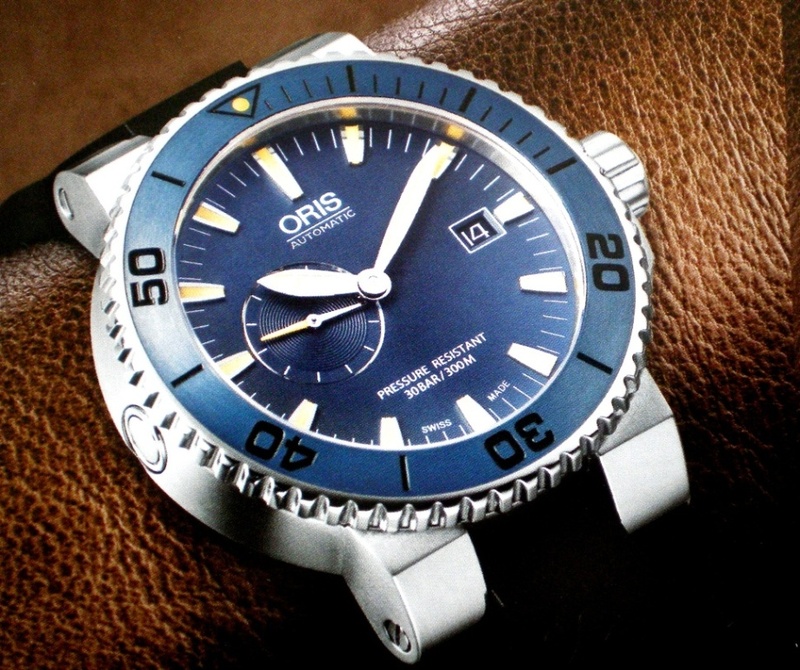 It is powered by an exclusive decorated, rugged and reliable movement – the Omega 3220 caliber – which is different from the previous versions of this model, since they used to have the 1140 movement that lacks the desirable luxury finish. It has rhodium-plated finish, beautifully decorated with perlage (circular graining) on the plates, and Côtes de Genève (Geneva stripes) on the winding rotor mass and bridges. This movement, exclusive to Omega, is a slim 45-jewel self-winding Chronograph with central hour hand, central minute hand, small seconds at 3 o’clock, 12-hour totalizer at 6 o’clock, 30-minute totalizer at 9 o’clock, and central chronograph hand. The movement is of modular construction, based on the ETA 2892-A2 with the exclusive Dubois-Dépraz 2020 module. Power reserve: 40hours. This movement’s dimensions are 30mm diameter by a height of 6.5mm. The high 28,800 beat-per-hour frequency (4Hz) make the small seconds hand at 3 o’clock as well as the central chronograph hand glide smoothly–noticeably smoother than on its big brother the Omega Speedmaster Professional which has a slower frequency of 21,600 beats-per-hour (3 Hz). Here are two diving watches, the Oris “Maldives” limited edition and the Seiko “Sumo” JDM (Japan Domestic Market). The Oris brand has long been associated with aviation and motoracing in the past. This time around the Swiss manufacturer ventures into the field of watch sport and diving arena. 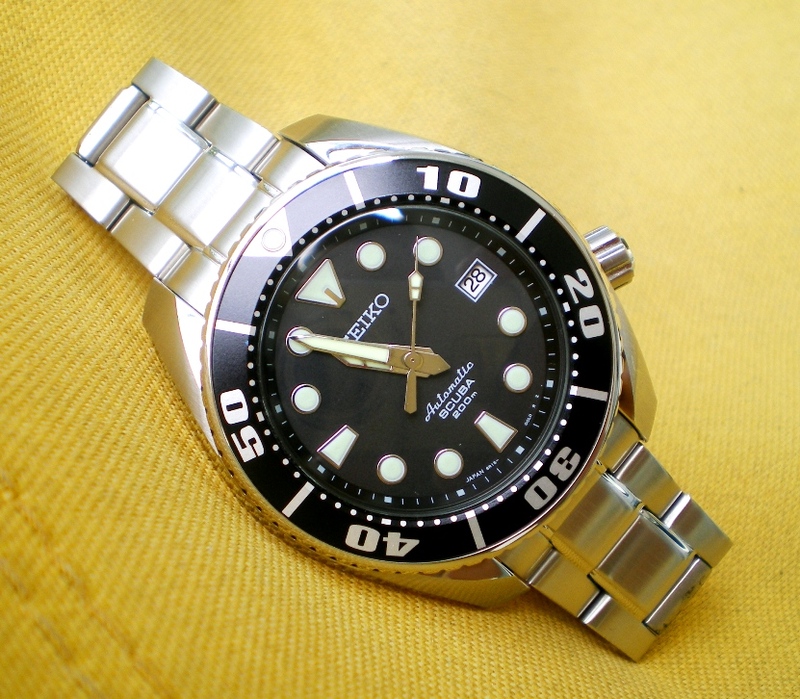 As for Seiko, the Co. has been reputable for making very good diving watches all along. Once in a while the Japanese manufacturer would produce something special. This is a model that was sold mainly to the Japanese domestic market and among the collectors’ world, it is called the “SUMO” (Japanese traditional wrestlers). The reason might be simple, the watch was constructed solidly with very fine workmanship at the same time, combining the beauty of samurai sword and toughness. 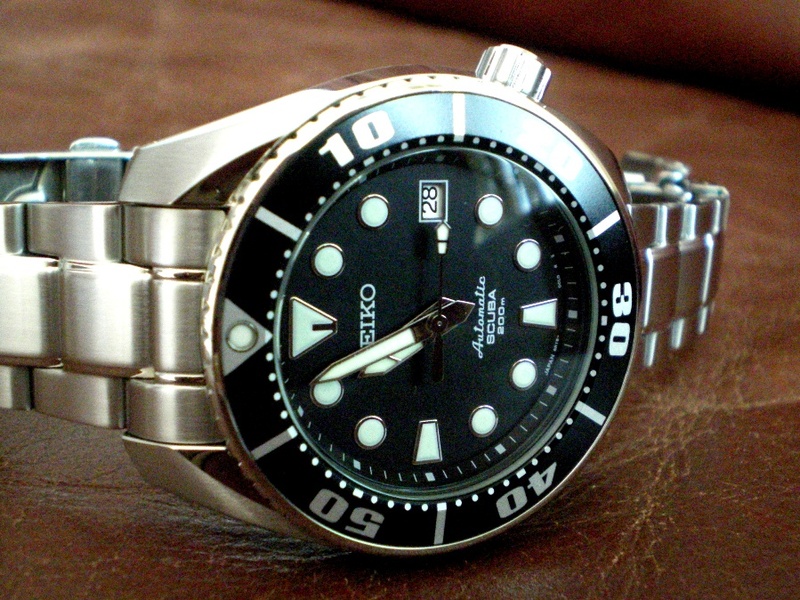 Both watches are rated at professional scuba diving standards. 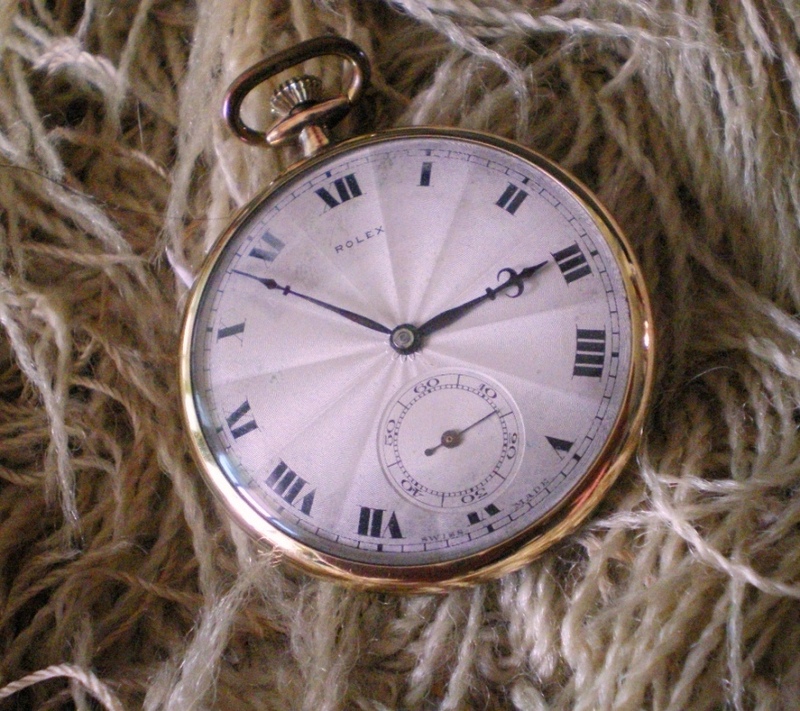 What readers witness below is an antique Rolex pocket watch (gold-capping) dated back to 1900. 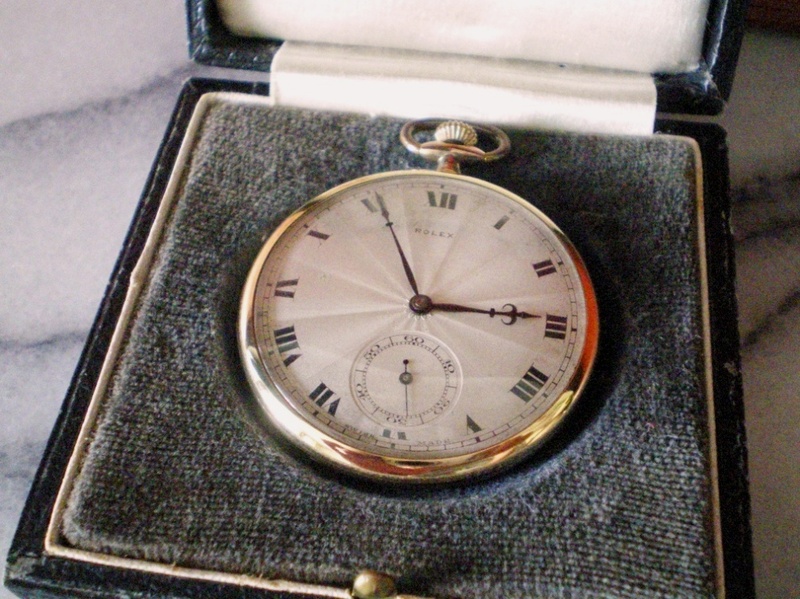 It’s a mechanical keyless hand-winding piece of treasure passed down over a century. This piece was found and sold in Australia. 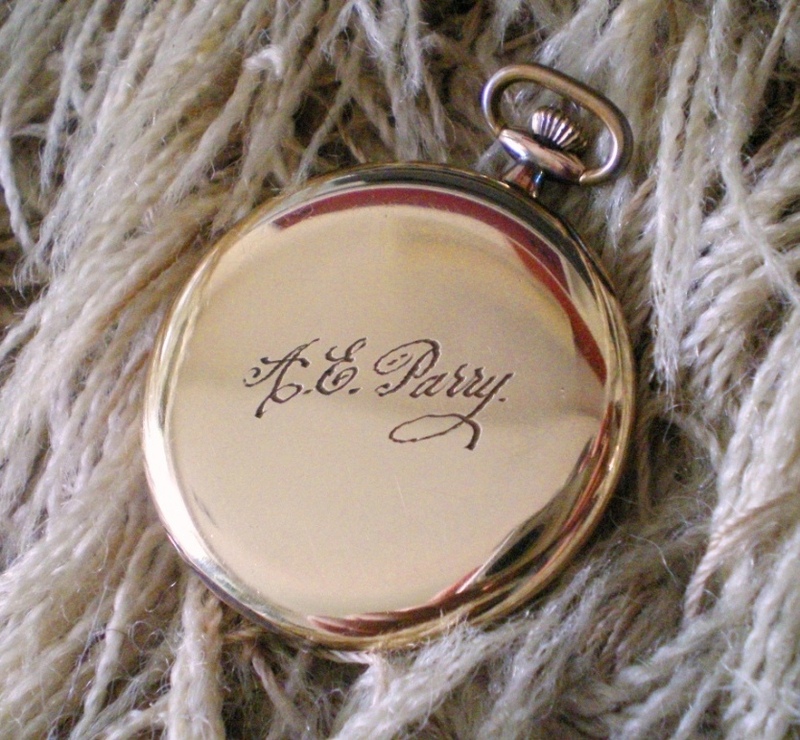 The piece has the initial of A.G. Parry on its gold-capped case back. Whether it is a name of a person OR a company that no one would know. The pocket watch dial was made in silver with gilded shine. The hour and minute hands are of original antique design. Below in the 6 o’clock position a small dial indicates the running seconds in time. The piece was inspected thoroughly by Rolex Centre and was confirmed to remain “100% original” parts manufactured by Rolex in 1900. Some experts estimated that the piece would fetch fairly good value approximately in the range of USD100,000 in an auction that could attract serious collectors. 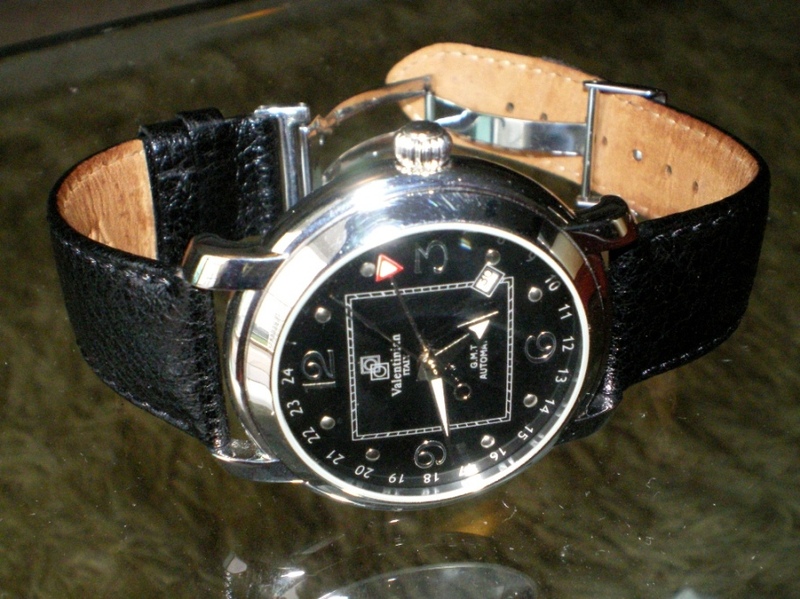 The Sacom watch brand remains a respectable Swiss watch-making manufacturer, over past many decades. In the past, Sacom used to produce high quality pocket watches and come the new millennium the Swiss mechanical watch maker started to try producing equally good quality wrist watches. This piece is among its contemporary wrist watch series, showcasing the beauty of mechanical watches, with moon-phase combined with Art Deco dial. For the readers, the two pieces of wrist watches worth to take a look. 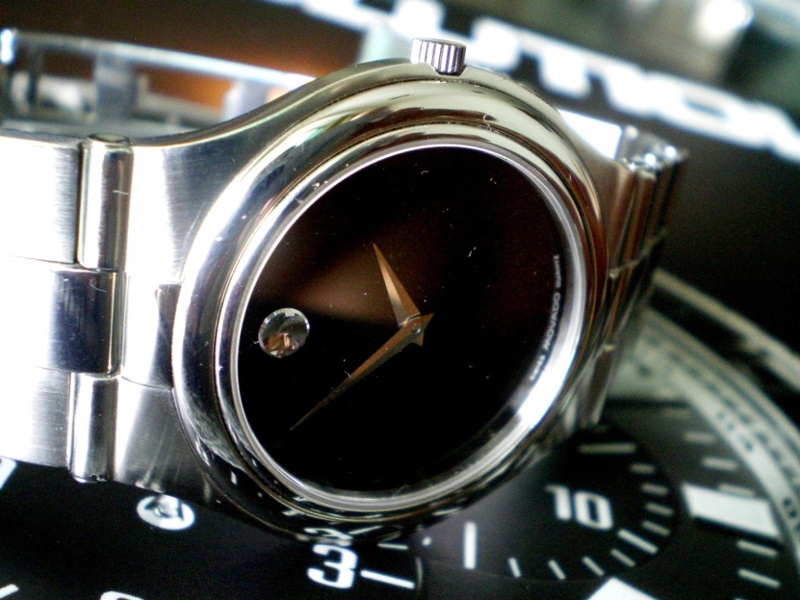 One is the famous “Museum Watch” Movado classic and the other, a special edition by a watch master who hand-made this diving original – “Rock Diver”. Each the watch has its own appeal and functional usage. 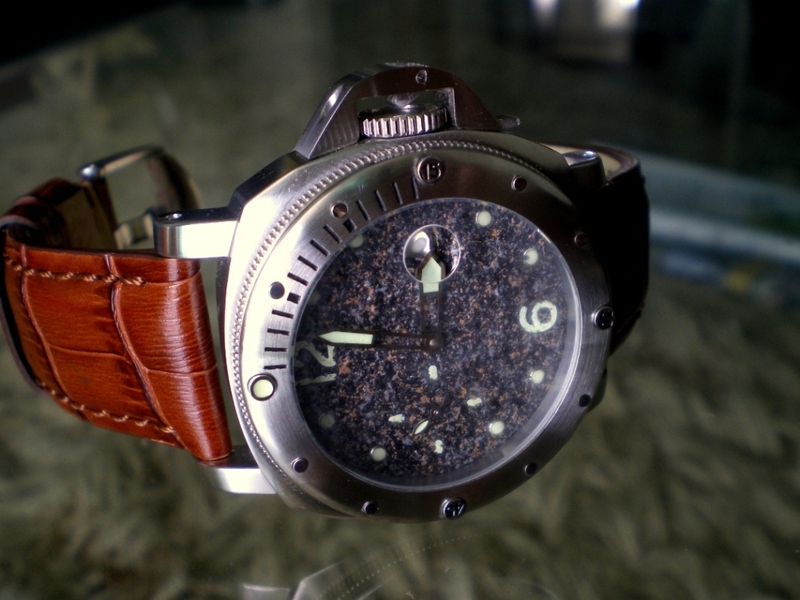 The classic Movada is a dress watch with quartz movement and the “Rock Diver” comes with automatic movement. 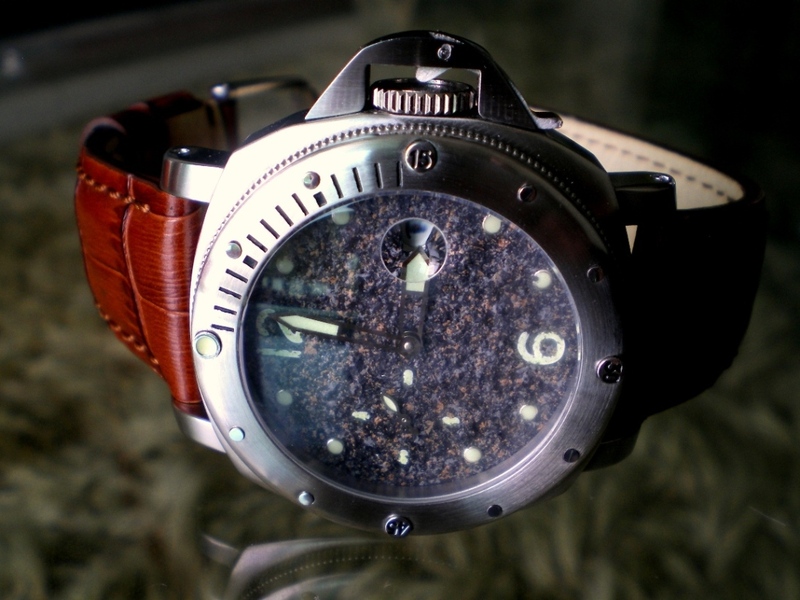 The Rock Diver’s dial was made with a solid piece of rock composite, something that’s very rare in the watch-making industry. 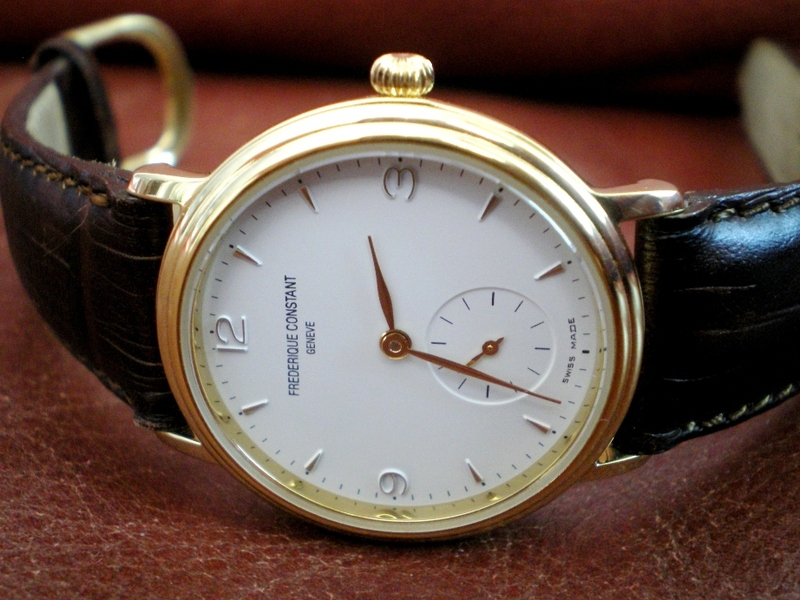 This is the original classic piece of Swiss watch-maker Frederique Constant produced in the 1990s. From the watch’s dial design to layout of its hand-winding mechanical movement, this 36mm wristwatch meant only one thing – original classic. The watch casing is of 18K gold plating including the hour/minute hands as well as indexes. Uniquely positioned in the 6 o’clock is the second-hand small dial in recess. The back case of the watch is made of see-through crystal glass showing the beautiful mechanism. 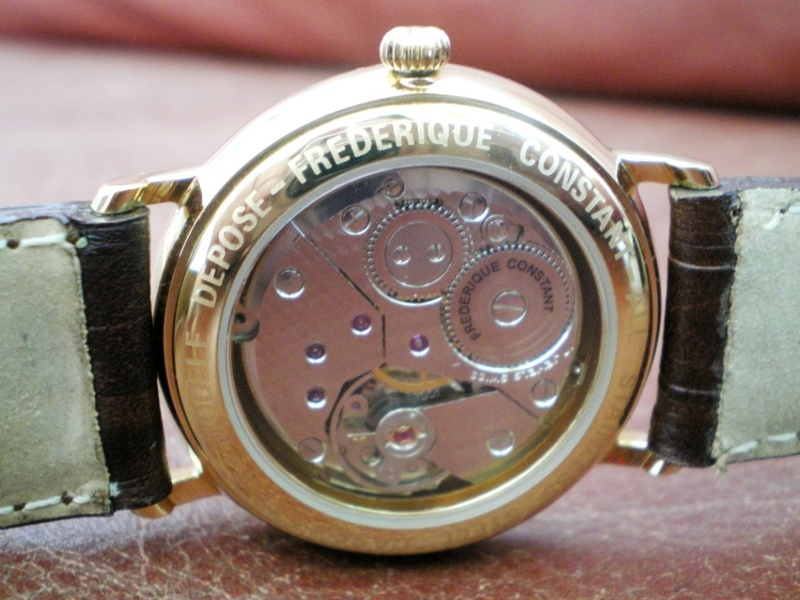 It is one of the few pieces of Frederique Constant watches that were produced under stringent workmanship, in the early stages of the Swiss manufacturer. 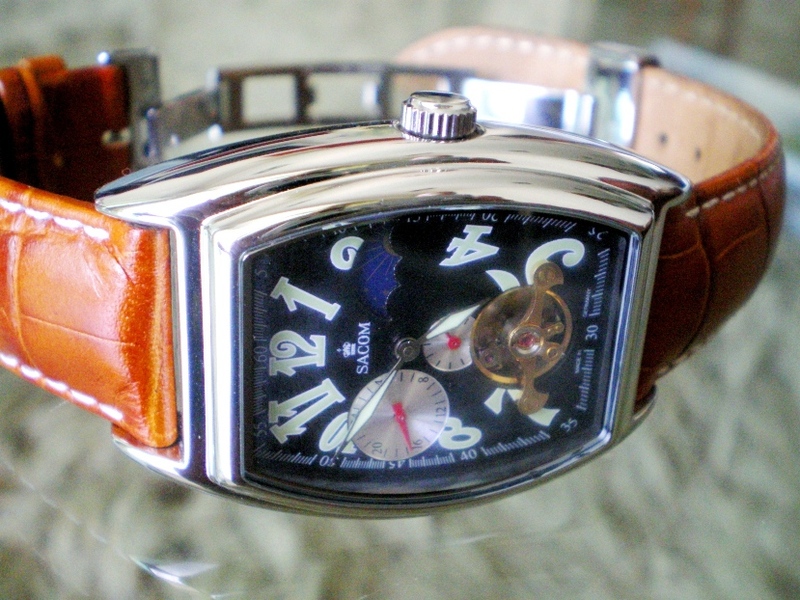 This model remains a highly sought after collection by European and Indonesian affluent watch collectors. Its hand-winding movement was original and self-produced by FC. 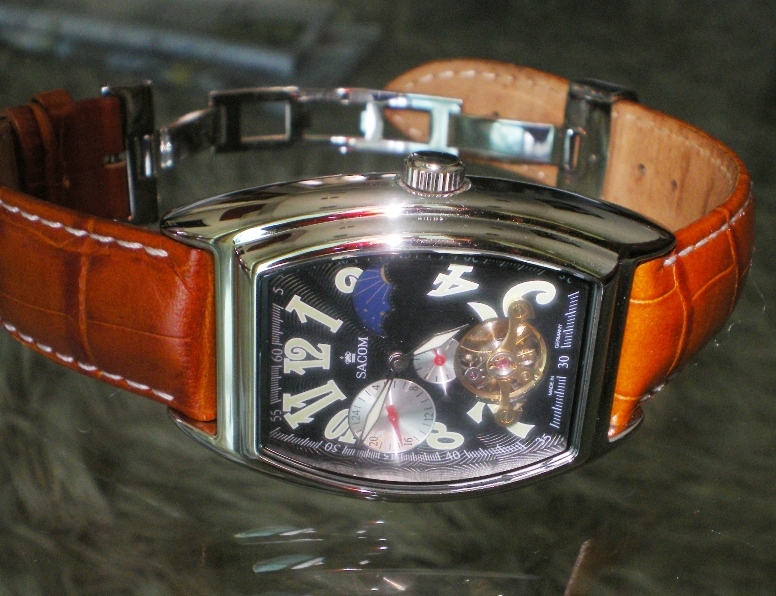 Currently estimated to be sold (in resale market, if you still can find one) in the range of at least USD3,000 – 4,000. The value will continue to go up in the future. Here’s an Italian piece of limited collection (total 100 pieces produced). The watch features a GMT automatic mechanism. Brand: Valentinian. Only a single piece was allocated for Hong Kong market.